Thandie Newton found having brown skin made friendships “complicated” when she was young. The BAFTA-winning actress has always been honest when it comes to her struggles, previously opening up about the sexual abuse she received at the hands of an older director when she was 16. Thandie’s race has also led to feelings of isolation, and she says growing up in Cornwall, England to a British father and a Zimbabwean mother wasn’t always easy. “I was the kid who was complicated to be friends with, because I was brown,” she sighed to The Edit. “But I’m quite glad of that, now. As well as being open with the media, the 44-year-old doesn’t shy away from important matters when it comes to her children. She has daughters, Ripley, 16, and Nico, 12, and two-year-old son Booker with her director husband Ol Parker, and has already explained to her eldest two about how she was taken advantage of as a teenager. Thandie only found out the extent of the abuse, when a director put a camera up her skirt, years later when a producer let slip the tape has been shown to the unnamed director’s friends. 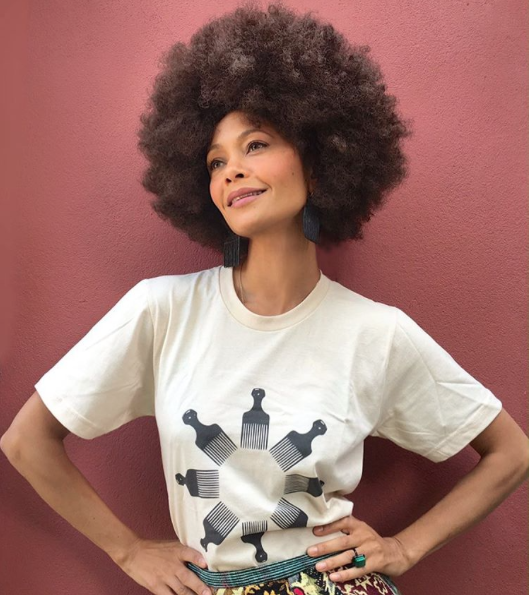 Westworld star Thandie also doesn’t stay quiet on humanitarian, sexist and human-rights issues, and admits her forthright nature has lost her friends over the years. True Love is the iconic South African fashion, beauty and lifestyle magazine for black women.